Highly experienced but not so long in the tooth! Although Dr. Amy prefers to start her day with coffee in bed (her hubby is well-trained), she never shies away from a challenge or a hard day’s work – even after a 3 am wake-up tap from Lucy the cat (is she saying “I love you” or, “I OWN you”? Only Lucy knows for sure!). Turning from cat psychology to much easier to read dogs, Dr. Amy adores her little terrier George. Amy is often found in the barn or riding her sassy Icelandic steed Raudhetta. Dr. Amy is very grateful that her love (ok, obsession) for horses is shared by her two teenagers. But make sure you’ve got a hat and sunscreen when riding. Dr. Amy has to protect that ginger skin! 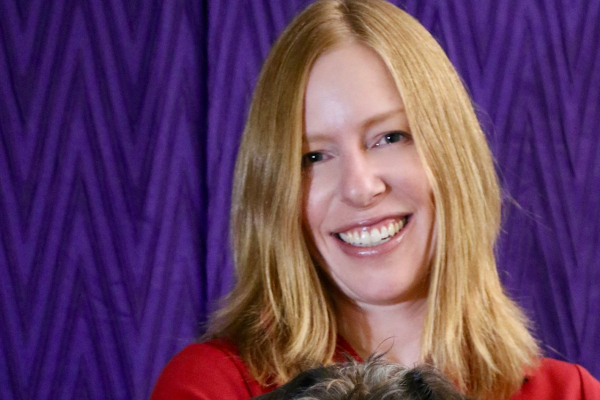 After 19 years as a vet and 17 years of practice ownership she is relentless about taking exceptional care of a pet’s teeth, and she’s spent countless hours with dentistry specialists to pursue this passion. Every smile counts!